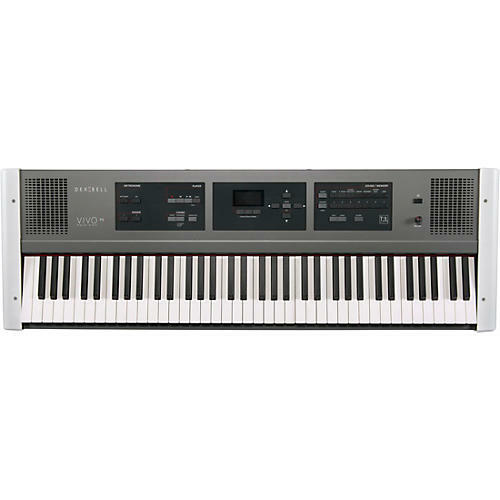 The DEXIBELL P3 portable digital piano exceeds the standard of 16-bit and 44.1 KHz audio, the standard audio CD reproduction, with the use of higher definition, both in the waveforms format and also in the integrated circuit of the conversion from digital to analogue (DAC). The Vivo P3's 24-bit output represents piano capture more broadly and with greater nuance and detail than you might be accustomed to. The new 24-bit technology together with the 48 KHz sample rate has significantly improved both the frequency response and the dynamic range of audio, compared to all other digital pianos. At the heart of the DEXIBELL piano lies an incredibly powerful “Quad Core” processor capable of managing 320 digital oscillators. This huge number of oscillators allows for the simulation of all elements, sounds and noises which culminate to model the sound. The increased polyphony used in Dexibell Pianos also contributes to simulate the realistic responsiveness of a real acoustic piano through virtually unlimited polyphony. Its playing action is likewise rich and satisfying, with a carefully graded hammer action that replicates the response of a quality acoustic piano. The audio quality of the DEXIBELL is unquestionable but what is even more astonishing is the interaction the player feels with the instrument. Every nuance is conveyed and channeled from the musician's fingers. Every aspect of the sound is faithfully reproduced by layering precise and articulate resonances in order to capture every possible interaction with the wood as a living material.